Once found exclusively tucked away among the deepest realms of the forest floor, moss continues to enjoy a vibrant green décor renaissance now that people are onto its innate ability to endow just about anything with a verdure je ne sais quoi. With well over 12,000 species known to mankind, the relatively compact tufts of greenery – possessing an amazing array of physical incarnations and reflecting every conceivable tone of the vegetation rainbow – require one main ingredient to thrive…water. Even better than the Bryophyta family’s minimal nutritional requirements is the fact that you don’t need to break out the weed whipper or employ a fleet of guinea pigs to mow it into immaculately groomed perfection. Designers have taken note by conjuring up some inventive interior accents using moss as well as its grassy and higher maintenance botanical counterparts that will take your interior environment from yawnsville to greenie central without skipping a beat. Every single one of us has at one point in our lives shunned our shoes in favor of the liberating sensation of walking barefoot on a sprawling carpet of grass while out in the park or amid the solace of our own backyards. 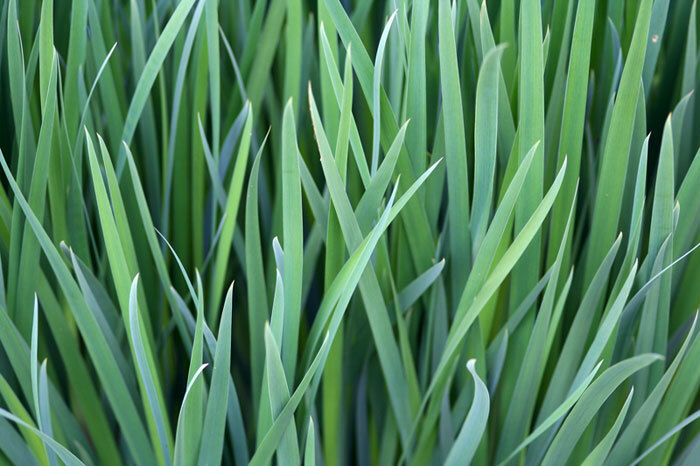 There’s nothing quite like allowing the soft green blades to envelope our tootsies, so why limit ourselves exclusively to such a fleeting outdoor pleasure? Even the most compromised green thumbs can still effortlessly cultivate Uri Romano and Assaf Yogev’s rectangular and easily portable nine99 Design grass squares. While their collaborative concept may not offer ample real estate with which we can stretch out and sun ourselves, it still enables us to appreciate the great outdoors from the convenience of our desks or coffee table. Those who are particularly inspired might even consider tucking their tootsies into their mini grassy refuge for a brief spell or indulging in a bit of zen-like lawn maintenance with a pair of sharp scissors…just don’t forget to drop your clippings in the closest compost pile when you’re done. If you’d prefer to take your training wheels off by expanding your plot o’ indoor greenery jussst a little, then perhaps you’d like to ponder these intriguing options. Jinsun Park & Seonkeun Park’s Breathing Partitions inject dreary office spaces with a hint of cheerful and thankfully low maintenance greenery that is set off by the pièce de résistance – a lush green grassy mat to park your weary worker feet upon. Once you return home after a long day at the office, it’s comforting to know that following a Calgon, Take Me Away bubble bath, you can allow whatever dewy moisture remains on your skin to trickle down and hydrate Nguyen La Chanh’s living moss bath mat. Studded with forest, ball and island moss varieties, its decay free stone-like base is actually composed of plastazote, a lightweight foam that will hold up to the rigors of a bathroom existence. Potted plants have long been the domain of the green lifestyle enthusiast who longs for a spot of Momma Nature to warm up their personal dwelling, but increasingly more companies are liberating greenery from their claustrophobic plastic containers and instead allowing them to live long and prosper in vertical arrangements. Sure, we’ve seen countless examples of plants clinging artfully to the exteriors of buildings, but now they’re benefitting from a distinct change of scenery. Whether you consider emulating Green Fortune’s elaborate Plantwall installation or an equally impressive Biowall system (both of which are anchored into textile bases that contain built-in drip hydration and fertilization systems), your walls will be transformed into filtering lungs that are capable of scrubbing the VOCs right out of your air! Interested in tackling this décor upgrade in a way that respects a realistic budget? 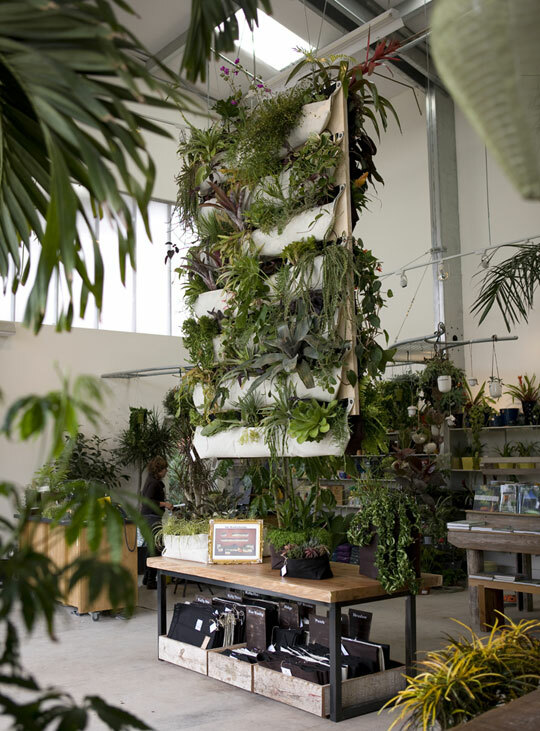 Then the indoor living wall kit might be just the thing for you…or if you’re a DIY maven, you might consider putting on your thinking cap and devising a recycler’s alternative at mere pennies on the dollar. Your plants won’t know the difference! When all is said and done, nothing makes more of a dynamic clean-green living impact than rolling out the mossy carpet, which Terramac makes possible with a stroke of technological brilliance. Their polylactid acid-based transparent spun fiber base anchors the roots of assorted moss plants, enabling the amateur/professional gardener or interior designer to create vast swaths of ambling greenery throughout interior spaces in dynamically grand fashion. Even more appealing than the designer effect of having live moss carving a pathway across your floor is the simple fact that its plastic-like Terramac base actually biodegrades within 10 years, leaving nothing more than water and carbon dioxide — two notoriously plant-nourishing elements — in its wake. This could quite possibly be the next best thing to soaking up the sights and sounds of the forest during a weekend hike…well, almost. You’ve got to admit that with sustainable design elements like this, the prospect of living in a suburban box becomes far more green-ful!